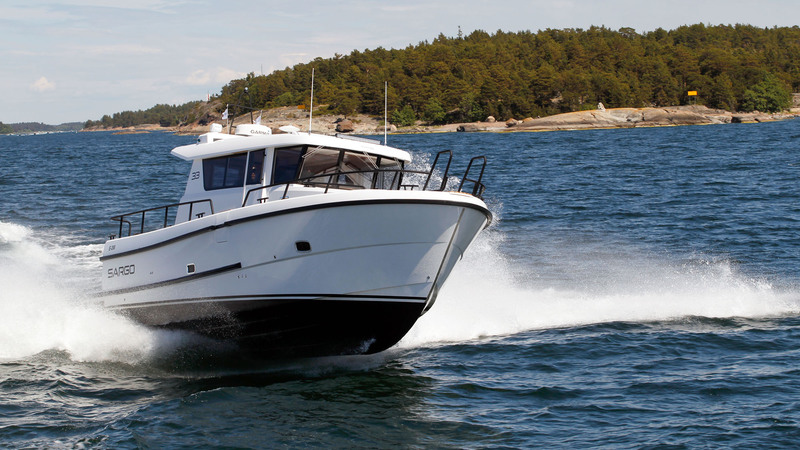 With the 33, finnish shipyard Sargo has once again delivered a safe, fun and seaworthy boat with a family focussed design. Two cabins and a large wheelhouse provide fantastic all-weather cruising credentials and, combined with a hull that is widely regarded as being one of the best in its class, a ride that is unsurpassed in all conditions. It also delivers high levels of refinement, and noise levels that are usually only found in a luxury car.